In late December 2016, I co-wrote an article on Forbes.com that introduced the "Uber Cannibals," a 5-stock investing strategy that invests in businesses aggressively buying back their own stock. This is a "set it and forget it for one year" strategy that rebalances every April when 5 companies are selected for the portfolio for the upcoming year. We are now ready for the April 2019 picks.Recap of 2018 Uber Cannibals:As a recap, in my 3/31/17 blog post, we met Ms. Sonia Patel, who had embark [...].. I very much enjoyed being interviewed by The Economic Times on the sidelines of the Motilal Oswal Annual Global Investor Conference in Mumbai. We discussed a range of topics including P/E of 1 stocks, cloning and my investment checklist. 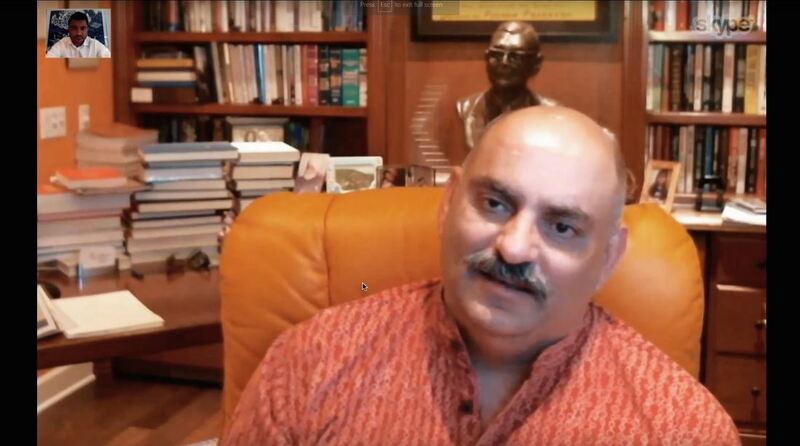 Enjoy!https://economictimes.indiatimes.com/markets/expert-view/volatility-is-the-friend-of-a-long-term-investor-mohnish-pabrai/articleshow/65570377.cms [...].. I recently gave the “Trust vs. Truth” talk to the Class of 2019 Dakshana Scholars at JNV Bundi (Rajasthan, India) on June 2, 2018. These scholars will take the IIT entrance exams in 2019. The majority are likely to be accepted by the IITs. We explored the variables Buffett believes are key to success in life (integrity, intelligence, and energy), Marcus Aurelius’ Stoicism and the importance of adversity, and the motivations behind establishing the Dakshana Foundatio [...].. 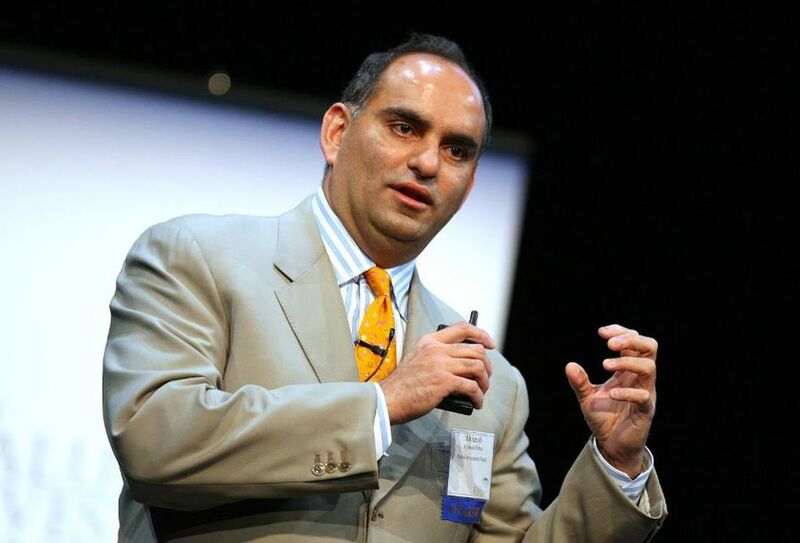 I very much enjoyed speaking to Rohilesh Singh, founder and CEO of Populis, for the Leadership Show. We talked about the importance of giving back (in time and resources), the Dakshana Foundation, how to invest in profitable businesses and the importance of checklists in investing. Enjoy!http://www.populis.com.au/single-post/2018/06/21/CLEVER-INVESTOR-AND-GIVER-Rohilesh-X-Mohnish-Pabrai​https://www.youtube.com/watch?v=m53ukJMuO78​ [...].. I very much enjoyed my chat with Kevin Harris from SumZero published on Forbes.com. We covered a range of topics including checklists, a fair management fee structure, and the importance of doing your own investment research. Enjoy!https://www.forbes.com/sites/kevinharris/2018/06/25/mohnish-pabrais-advice-for-value-investors/#60ce25d122ed [...].. I very much enjoyed my Q&A session with the Class of 2019 Dakshana Scholars at JNV Silvassa, Union territory of Dadra & Nagar Haveli, India on February 25, 2018. These scholars will take the NEET entrance exams in 2019. The majority are likely to be accepted by the best medical schools. Their questions covered a broad range of topics related to my childhood, compounding, lessons from my failures and motivation behind our establishing the Dakshana Foundation.Enjoy! https://www.youtub [...].. I very much enjoyed being interviewed by ET Now at the Berkshire Hathaway Annual Meeting with Guy Spier and Raamdeo Agrawal. We discussed our experiences attending Berkshire meetings over the years (it was my 21st meeting!) and the lessons that are reinforced every year on our annual pilgrimage to Omaha. Enjoy!​https://www.youtube.com/watch?v=7FspBQlgu88&app=desktop [...].. In late December 2016, I co-wrote an article on Forbes.com that introduced the "Uber Cannibals," a five-stock investing strategy that invests in businesses aggressively buying back their own stock. This is a "set it and forget it for one year" strategy that rebalances every April when 5 companies are selected for the portfolio for the upcoming year. The Uber Cannibals draft season is now upon us, and it's time to pick our 2018 - 2019 team.As a recap, in my 3/31/17 blog post, [...].. It was truly an honor to receive a shout-out by Charlie Munger during the Daily Journal Annual meeting in Los Angeles on February 14, 2018. Charlie was discussing the fair investment management fee structure of the Buffett Partnerships of the 1950s, which I have enthusiastically cloned for 19 years. Here is a brief clip from the “Closing Bell” on CNBC that summarized the talk. Kelly Evans mentions Munger’s fee structure comments from 2:40 onwards:https://www.cnbc.com/vide [...].. I very much enjoyed speaking with Shai Dardashti of MOI Global for their Best Ideas 2018 session. We discussed philanthropy, the Dakshana Foundation and the influence that Buffett had on my founding Dakshana.Here is the link to the recording:​https://www.youtube.com/watch?v=S6fUDLa1Dq0If you prefer to read, here is the transcript of the interview:​https://moiglobal.com/mohnish-pabrai-philanthropy/Enjoy! [...].. I celebrated Diwali this year with the viewers of ET Now discussing my favorite topics: compounding and the Rule of 72. We also discussed my thoughts on a few investment ideas in India, as well as my aversion to IPOs. Here is the link to the video:​https://www.youtube.com/watch?v=rZQSXX8vrhM You may also enjoy an article ET Now published about the interview here:https://economictimes.indiatimes.com/markets/expert-view/follow-this-mantra-never-ever-invest-in-any-ipo-mohnish-pabrai [...].. I very much enjoyed being interviewed by ET Now for a "Chai With Pabrai" segment. We discussed a wide range of topics including my views on stocks in India, circle of competence and Dhandho investing (low risk high uncertainty) in India.Enjoy! https://www.youtube.com/watch?v=T7Qr1Ze8vNA [...].. I very much enjoyed my Q&A session with the class of 2019 Dakshana scholars at JNV Kottayam, Kerala, India on Dec. 24, 2017. These scholars will take the IIT entrance exams in 2019. The majority are likely to be accepted by the IITs. Their questions covered a broad range of topics related to compounding, as well as the reasons behind our establishing the Dakshana Foundation.Enjoy!https://www.youtube.com/watch?v=jqX9AgwgwTY&feature=youtu.be [...].. I very much enjoyed visiting the campus of Peking University's Guanghua School of Management with Guy Spier and Monsoon Pabrai to give my second lecture entitled “Compounding is the 8th Wonder of the World.” The presentation was followed by a rich Q&A session on a diverse range of topics. 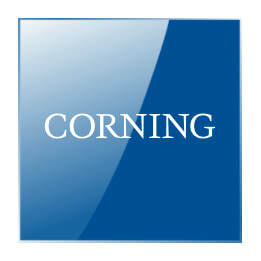 The lecture covered my favorite subjects – compounding, Rule of 72 and Warren Buffett. Enjoy!https://www.youtube.com/watch?v=z74NaYRyMJo&t=6564s [...].. I very much enjoyed this joint Q&A session that Motilal Oswal founder Raamdeo Agrawal and I had with Dakshana Scholars at JNV Bengaluru Urban on Oct. 26, 2017. We discussed compounding, being a learning machine and the importance of learning from your failures in investing. Enjoy! https://www.youtube.com/watch?v=_4WRC5W92k8​ [...].. I very much enjoyed my discussion with Prof. Arvind Navaratnam’s class on Value Investing at the Carroll School of Management (Boston College). It was my seventh year in a row!The talk covers the magic of compounding, cloning Buffett, the zero fee structure and moats in the investment business.Enjoy!​https://www.youtube.com/watch?v=_1aGen3q2_g&feature=youtu.be [...].. I recently gave a talk to Professor Bruce Greenwald’s legendary value investing class at Columbia Business School entitled “Where have we been and where are we headed?” We discussed historical performance periods in the capital markets and lessons we can glean for our future. Enjoy! It is best to watch the video using the Firefox browser. It may take a few minutes to load. You may want to turn up the volume for better audio. You can toggle between the slides and the v [...].. I enjoyed this video covering Patel's business practices from "The Dhandho Investor." The video goes into how the Patel's got into the motel business in the U.S, their low cost operating model and high return on equity. Heads I win, tails I don't lose much! (Note: the video is in hindi).https://www.youtube.com/watch?v=INSuLnQJvuY&feature=youtu.be&aEnjoy! [...].. I very much enjoyed my lecture and Q&A entitled “Compounding is the 8th Wonder of the World” with Dakshana Scholars at the Dakshana Valley Campus on Dec. 26, 2017. The questions covered a broad range of topics related to compounding, including philanthropy, patient investing and choosing equities over other asset classes.https://www.youtube.com/watch?v=VvpfjxLiO9g&feature=youtu.be​Enjoy! [...].. I very much enjoyed my chat with Niraj Shah of Bloomberg Quint for Alpha Moguls. We discussed the importance of sticking to one’s circle of competence, the advantage of auction-driven stock market investing and the prospects of investing in the real estate sector in Mumbai.​Enjoy!https://www.youtube.com/watch?v=XBY6aLezago&app=desktop [...].. I co-authored an article in Forbes about The “Free Lunch” Portfolio, which combines the power of Uber Cannibals, Shameless Cloning and Spinoffs. The Free Lunch Portfolio is a 15-stock, 12-month “set it and forget it” approach that beats the pants off the S&P 500 with lower volatility than its individual 5-stock sub-strategies.You can view the article here:https://www.forbes.com/sites/janetnovack/2017/12/15/the-free-lunch-15-stock-portfolio/#1706edc76b38Here are the 20 [...]..